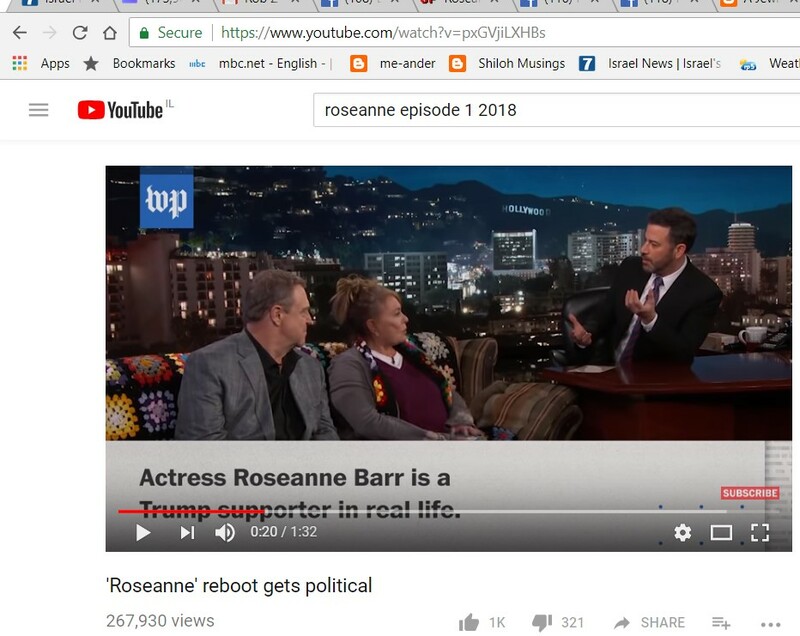 Apparently, the irrepressible Roseanne has announced that she'd love to join her people in Israel and even become the chief aka Prime Minister. Weiss asked Barr about the phone call she got from US President Donald Trump after the premiere of her show scored excellent ratings. “He said ‘Congratulations on the ratings.’ He’s really into ratings like I am,” said Barr. And then the actress said she had a message for Trump – to thank him for his decision to move the US Embassy to Jerusalem. Being the rare TV star who not only supports US President Trump, but Roseanne Barr says so on nationwide television. The PCs don't seem to scare her. I guess Roseanne looks at the real numbers, like the fact that although all the pundits and most polls had predicted an easy win for Hillary Clinton, it was Donald Trump who won the most recent United States Presidential Elections. So, nobody should be surprised that her revived television series is a hit. More Americans agree with her than the media and Hollywood care to imagine. 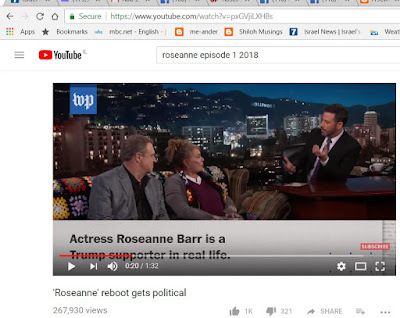 Roseanne would feel at home in Israel, though I hope that her talks of getting involved in running for the Knesset, which is the only way to be a Prime Minister, was just for the headlines. Like all Jews, she should make aliyah, Gd willing.